Thought I'd post some speculations and observations on the FM aspects of some things in FE2 and SF2 that I've recently been tinkering with. This might be an interesting post for those who like to follow these technical threads. I was recently installing more aircraft into my small SF2 install - something I wanted to get to last year but had no time - and I decided to install a couple of the late prop aircraft too, particularly the SeaFury and F4U-5 variant of the Corsair. Overall pleased with the handling of the types, I tweaked a few things such as desensitizing the rudder on them, and also giving them slightly heavier aileron feel - since those late model prop aircraft were fairly heavy, about 4500 kg on average. Further testing involved flying and inspection of the [FlightControl] and [Engine] sections...couldn't get much beyond about 500 kph near sea level or at alt. in the types...so I commented out the MaxSpeedSL entry for the FlightControl, and tweaked prop speeds to close to historical, within the 2000 to 3000 rpm range, also pushed up the value for the SLPowerDry entry for the Engine, usually by a noticeable amount, and then tested further. The numbers above I've plugged in, for example, for the Corsair. The space between Military throttle and Max throttle would be where "WEP power" would theoretically in this case be engaged, somewhere around the 0.85 mark for the band I've selected above. For this to work somewhat realistically, the player should restrict themselves to about 85% throttle max. except in extreme situations, depending of course on where military and max throttle are set. Also important for this to work is to make sure that the max SL speed under the FlightControl section is left uncapped (commented out) - otherwise artificial barriers are set up that cannot be bypassed by more than about 20-30 kph. Speed caps work beautifully in SF2 for the jet engines, but, at least from my experience, don't work that well with the late prop planes since you can then never hit top max. recorded historical speeds, not even at alt. - and not at SL either. Also noticeable in the example above is that I've increased the throttle rate from the default of about 0.25. Historically, late prop aircraft would have had better acceleration than early jet planes (not better top speeds, but faster acceleration to their own max speed). By the 1960s/70s, jet engines should surpass the props even in acceleration. I then re-tested by dumping the modified Corsair into my FE2 install. In SF2 it can get into the 760s kph, as historical, using the engine and throttle values I've included in my graded throttle settings above, while in FE2 the same tweaks push the top speed into the 880s kph - a difference of about 120 kph for top speeds, across FE2/SF2. This is why it's not a good idea simply to transfer data inis from one of the sims to the other. I'm assuming that the discrepancy in top speeds means that TK went with calculations to give less air resistance in FE2 (maybe FE as well?) - to fit better with the more fragile and maneuverable WWI aircraft types. One thing that remains constant between FE2 and SF2 is that, at least from my observations, the WEP modelling is not very realistic - there was no high alt. band where I could push the top speed beyond, for example, a reasonable top speed that may have been possible at near sea level (such as 500 or 600 kph). wonder if you didn't exceed the Structrual Limits on the Corsair? That may cause hidden damge??? I'd also suggest looking over the data tables in the stock SF2 P-51D and Spitfires (9c & e, 18, 22 & 24 -even though the latter are Griffon powered marks. It's always a pleasure to read one of your analytical posts. Keep up the good work! Funny you should be talking about Corsairs and performance data. I just watched this video the other day. Also there was an interesting comment by YouTuber Tom Everhart about Corsairs in Korea. Maybe @Wrench know some history as to whether this story is true or not. Didn't think this thread would prove so popular but happy to see some fresh posts here gents. Regarding the Corsair, I'm surprised to learn that they used wooden ailerons, fabric covered, for later models such as the F4U-4, was thinking initially that this is something only typical of early war types like the Hurricanes, early Spits, and the "birdcage" variant of the Corsair. Apparently trim tabs were also made of wood on many of the types...a legacy of WW1 maybe?...wood/fabric being easier to fix from bullet holes perhaps. It appears that MaxThrottle values manipulated beyond 1.00 (100%) to something like 1.2, 1.5, 2.0, etc., don't make any noticeable difference. I am testing this with WEP tables and values removed entirely. I do have another theory that I want to test, to see if max throttle values beyond 1.00 are somehow relevant only to WEP data, but not to regular alt table data values and regular throttle gradients. Will look at the stock SeaFury data ini with WEP enabled and will toggle max throttle settings further to see if I can at all hit max historical top speeds at alt. I'll also look into tinkering with max throttle values of between about 1.05 and 1.10 or 1.15 - perhaps a slight increase beyond 100% will, however counter-intuitive, give better results than noticeable increments. I'll report back if any of these tests and combinations manage to give higher top speeds at alt. than at sea level. For now, I'm still running the late prop aircraft with SL top speed uncapped and with engine power increased to give historical top speeds recorded at alt., but in this case reachable only at sea level. A compromise of sorts yes but I can tolerate it . Would be nice however to get WEP power realistically implemented (in SF2), although for FE2 there's no need for it. Been tinkering some more with the data inis, this time with the Lavochkin-11 since it flies similarly to the Extra-300 aerobatic plane from what I've noticed in SF2 and is fairly high performance. Will incorporate this into several of the late prop aircraft soon hopefully and will upload the data inis under the downloads section for SF2 if anyone's interested (SeaFury, SeaFury export version, F4U-4 and F4U-5 Corsairs, Yak-9P, LA-9 and LA-11, also "Sprint" upgrades for the Thunderbolt, and I'm tempted to look at the A-Team Superbolt what-if models and Spit Mark 14, also Paulo's Mark 19 - this is enough for an early Cold War install - the WW2 stuff I doubt I'll look at tweaking since I'm usually busy with WW1, but using the tweaks below people can cook up their own solutions to the WW2-era types). Below follow the latest modifications for the LA-11 data ini, and I think that WEP power is now modelled correctly from what I've been able to experience. Pics below of the LA-11 during tests and another Corsair that the AI lost control over during excessive maneuvers at high speeds - I'm thoroughly enjoying the increased realism now with these "brute force" machines. Fixed errors in the post. Very interested in your SF2 FM stuff which is high level experience ! After my job time... I go to test your WEP data. Flying your FM work is the opportunity to learn more about the aerodynamics possibilities of FE/SF2 games. Does anyone have a documentation (e.g. formulas) how the resulting thrust is computed from the FM ini values at given input values (throttle, altitude, velocity)? A good question...I think that only TK really knows how those formulas add up and work in FE2/SF2...my impression is that much of the number crunching that we tweak into the data inis are manipulations and changes to "already established" formula averages that were directly programmed into the TW series of sims. The trick is to figure out what units TK was using...most of the data inis are in metric (m/s, etc. ), but some of the ratio numbers took a bit of guesswork to figure out, and actual testing in the sims. In the [Engine] section is it necessary to add the following line : HasWEP=TRUE ? While I've noticed that I get about 12-15 extra kph with the La-11 at around 5200 m alt. already, it would be a good test to include the HasWEP=TRUE value as well, under the Engine section. I am also comparing some of the types further with modifications to the Engine section based on my long post above...currently working on the Thunderbolt "M" upgrade tweaks and the what-if Superbolts from the A-Team...will post if I find any important differences between performance on the different types. Also, I recommend testing with the SLPowerWEP value also incorporated into the Engine section of the data ini, and then without that value included. I am currently testing with SLPowerWEP included for the Superbolt, and I am noticing some extra, subtle acceleration - although no change to the top speed. Fortunately I'm able to run it in the 780s kph which is close to the historical top speed for the first prototype of the Superbolt. It took some time to get everything running with the Superbolt since I had to incorporate many alpha and data table values for the wing sections, borrowed from the Thunderbolt data inis hosted on CombatAce. Otherwise, in stock form, the A-Team Superbolt would start descending, above about 5000 m alt., if running beyond about 650 kph, with no ability to correct the descent - now it works fine with the borrowed wing values in place. I will test further by reducing wep to about a value of 3272665 - I think a difference of a value of 200,000 units, approximately, between the non-wep and wep entries, should be adequate for subtle performance differences. Also, I have noticed some other oddities regarding the late prop aircraft that are worthy of some info. here, regarding the wep manifold pressures. I've as well increased the WEPTempDelta value from 10.0 to 20.0, hopefully for more overheating chance although I haven't seen any differences so far. I've currently gotten rid of the entry for max alt. at which WEP operates, so that it operates no higher than the max alt included at the top of the data ini, and I've removed the max. time for WEP duration entry since it seems largely a nuisance at this point, although I will keep testing further. The unit is Watt (W). MinManifoldPressure, MaxManifoldPressure and WEPManifoldPressure are not used for the flight model. Those values are used only for the display of the cockpit manifold pressure gauges. 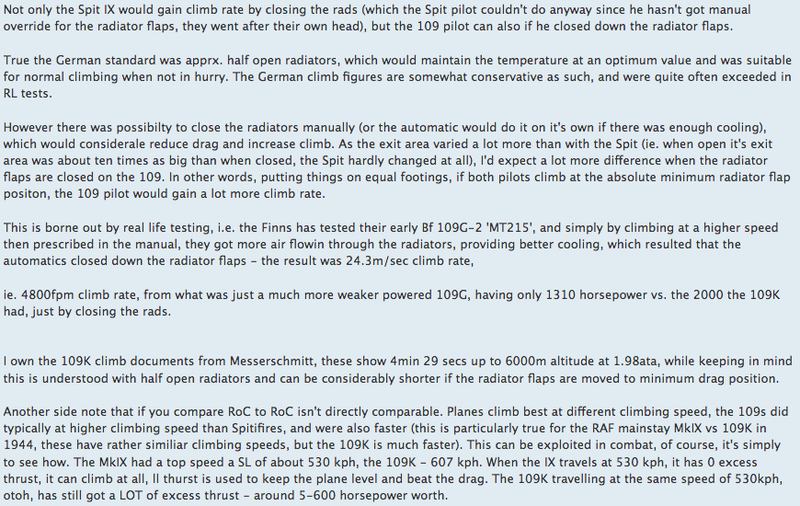 In terms of watts used for powerdry/powerwep values, etc., one word of advice for those tweaking FMs is to be aware that historical watt numbers for the engines don't necessarily and always translate to historical results when flying in the TW sims. At least for my WW1 tweaks package, endless testing was needed to get the models behaving historically within FE2 - although sometimes this would require unhistorical engine power numbers, or higher/lower rpm values for the props, usually a balancing act between the two, etc., and of many other factors. Theoretically, historical numbers might work well in the data inis all the time, but this would probably require entire revamps of several data inis, a very time-consuming process....touching on drag values, lift/data tables for wings and stabs, etc. My approach with the WW1 models has been to "hammer" the FMs into a shape that works well historically, based on the wonderful FM work initially done by Ojcar, TexMurphy, and others - and even then it takes at least a couple of years to comb through the data inis. The A-team data inis usually require more work...I have limited myself to touching only 5 or 6 of their WW1 aircraft. Sure wish we had some kind of program for FE2/SF2 that would "visualize" (as in a wind tunnel) what's happening when we change and crunch numbers into the data inis...would be more efficient than doing endless cycles of testing in the sim itself...but it is what it is. With the FM set to Normal the thrust (from debug output) matches this formula exactly. But with the FM set to Hard, the thrust in game is smaller. Hm, actually, looking at that graph, although the equation of thrust is the same, the V probably isn't, between NORMAL and HARD FM with 1.0 Advanced Ratio Table, that is... I'm probably adding induced velocity (correctly or incorrectly), causing the V to be slightly higher (and thrust to be slightly slower). In NORMAL FM, velocity is the same all over the aircraft, but in HARD, each component has slightly different local velocity. If I understand this correctly then the InducedVelocity must be added to the Velocity in the thrust formula. But in the above formula the InducedVelocity is dependent on thrust (but for the thrust calculation I need the InducedVelocity). Maybe the thrust variable in the InducedVelocity formula is different to thrust calculated by the thrust formula? Does anybody have an idea and can shed some light on this? I wouldn't be surprised at all if TK's formula for thrust in InducedVelocity is different from thrust calculations in the thrust formula - I haven't been able to solve that riddle but thanks for letting us know about it Mue. Maybe some SF2 jet specialists will be able to pitch in with their thoughts on it. On a different note, I'm happy with my latest tests for these post-WW2 prop aircraft so will most likely continue installing some of the tweaked types into my SF2 install as is, after the modifications. I've tried to go with an "accurate enough" approach for this stuff, while I tend to be nit-picky with the WW1 FMs. I'm not going to bother bringing the KTAS values down into the historical range since then KIAS will drop too much also - this will end up requiring some fairly low watt numbers for the engine power value under the Engine section of the data ini - so, if anyone wants to tinker further with this, I also recommend checking my lengthier post above where I've indicated some important entries, in bold, in the data ini - in that case for the La-11. I might eventually post some of these tweaked data inis for the post-WW2 prop machines once I finish tinkering with my SF2 Cold War install....in the meantime the more relaxing skies of FE2 are waiting for me. Added some info. and threw in an important edit. ....in the meantime the more relaxing skies of FE2 are waiting for me. Warm up your white scarf and enjoy yourself. I would like to pin this thread, it that's ok with you,VonS. There is a WEALTH of data that shouldn't be lost. I'll also create a link to it in the SF2 Knowledge Base. Sure thing Wrench, it's fine with me if you want to sticky this thread. Once I tweak these data inis further I might post them under the downloads section for SF2 (I still need to comb over the A-team Spit 14, Paulo's Spit 19, and I found three more I want to check over for my install...Paulo's La-7, F-6 (French) version of the Mustang, plus the F4U-7 variant of the Corsair used by French naval services. That should be enough variety for an early Cold War prop install in SF2. At alt., for example, it's misleading to look at the kph speed listed in the bottom left corner of the SF2 screen. Looking at the KIAS and KTAS numbers in the debug screen is more important. The speed in the bottom left corner and the KIAS number in the debug screen show the same airspeed: indicated airspeed (IAS). Only the unit in the bottom left can be different (km/h or mph instead of knots). Flying the Bolt at an alt. of about 8120 meters, and at full WEP throttle, I get numbers like KIAS 334.3 and KTAS 514.0, while 93% throttle, just under WEP power, gives KIAS 324.2 and KTAS 498.6. I don't know how accurate the KIAS/KTAS numbers are in SF2...KTAS seems a little too high compared to the KIAS numbers, but an ave. of the low and high values at 93 and 100% (WEP) throttle gives me numbers of 411.4 knots and 424.15 knots. Such numbers translate to about 762 kph at alt. at non-wep, and 786 kph at full wep power. Seems like a reasonable difference to me, of about 25 kph with wep engaged, and I'm then hitting the 780s kph which is close to historical top speeds at alt. for the Superbolt (first prototype). Therefore IMHO it's not correct to average both types of velocities and compare it with real life data. Depending on what real life velocity is measured (indicated airspeed or true airspeed) the according numbers (KIAS or TIAS) should be compared. I think with ConstantSpeed=TRUE a constant speed propeller is simulated in the game. 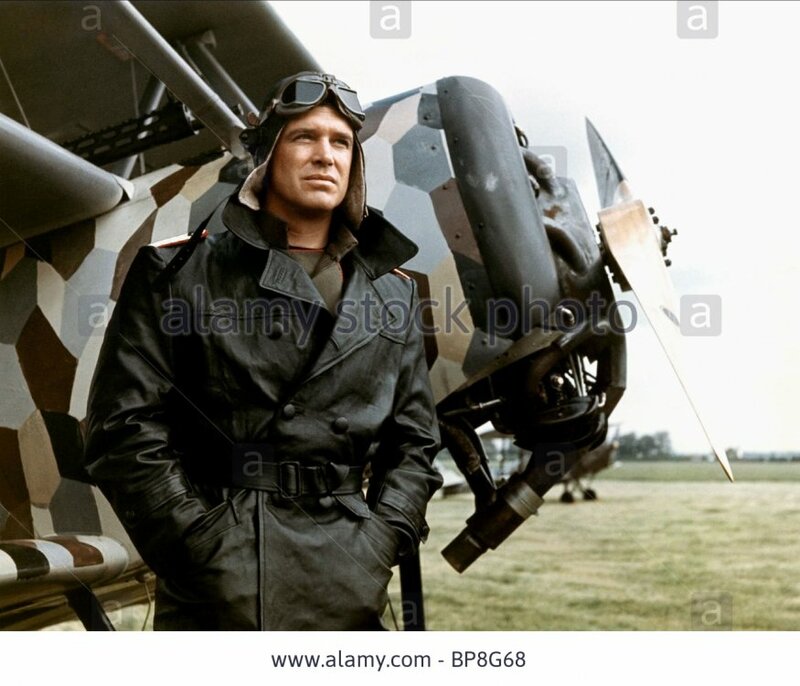 (AFAIK most WW-2 and post WW-2 prop aircraft have constant speed propellers.) The corresponding automatic variable pitch is simulated with the high prop efficiency over a broad range of the advance ratio. PropEfficiencyAdvanceRatio is the table of Prop Efficiency vs Prop Advance Ratio. For fixed pitch propeller (ConstantSpeed=FALSE), it will have a peak at designed Advance Ratio (ratio of air speed vs propeller tip speed). For variable pitch prop, you can enter the envelope of the tables for all the pitch angles (to simulate the prop always being at the best pitch). In real life, propeller efficiency is a function of advance ratio and prop pitch, and you'd have different efficiency curves for different prop pitch angles. Low prop pitch angle results in a peak at lower speed (and lower advance ratio), and higher prop pitch angle has a peak at higher speed (and higher advance ratio). Usually, this curve is fairly narrow for a specific prop pitch angle. But for automatic prop pitch control, you can just give it a wide curve where it stays at 1.0 over a range of advance ratio to model that fact that prop pitch is being adjusted constantly to give it max peak. (Therefore IMHO it's not correct to average both types of velocities and compare it with real life data. Depending on what real life velocity is measured (indicated airspeed or true airspeed) the according numbers (KIAS or TIAS) should be compared. Thank you for the info. - have been testing further and I've discarded my average of kias and ktas - found a better way of capping the ktas to within reasonable limits, using the MachLimit value under the FlightControl section of the data ini...was testing with the Spit 14 and now I can't push beyond about the 720s or 730s kph (when converted from the ktas value) at an alt. of about 7100 meters - the key is to "peg" the machlimit value appropriately. Limiting it to the historical top speed at alt. seems to "buffer" top speeds into somewhat low, unrealistic values...but capping the machlimit at a value that converts to about 100 kph higher than top speed at alt. works fine to keep the aircraft to within about 20-30 kph of historical top speed at alt. - so I'm happy with the results. I will still however leave the SL top speed uncommented since I'm getting better performance that way. For those who are following this thread, I recommend capping the machlimit value at about 100kph higher than historical top speed at alt. - seems to work well (this advice is for late prop aircraft in SF2...not related to FE2). The other good thing is that even with this cap in place, it doesn't limit dive speeds...some of the types like the Spits can approach Mach 0.9 in dives at full throttle anyway. In terms of the constantspeed "true" value, I agree that it's realistic in terms of post-WW2 and WW2 aircraft props. This I recommend tweaking as per taste or leaving it on for those who don't like fiddling with the values and want to have true auto prop behavior. Technically, on those constant speed props, you had a separate lever that you could use to chop down the rpms to taste - I don't know if this is possible in SF2 so I've resorted to turning the constantspeed off since otherwise I get constant, max rpms at all throttle settings, even at idle. Turning it off is a crude approximation of being able to control the rpms/prop pitch manually I suppose - at any rate it gives me a nice rpm of about 2300-2500 at full military throttle and rpms below 1000 at idle. I'm assuming that the automatic variable pitch then becomes "manual" variable pitch since the prop efficiency percentage changes across throttle settings...I usually get best prop efficiency (around 90 to 95%) somewhere in the 40 to 80% throttle range with constantspeed set to off - this seems historical...jet engines from what I've read are more efficient in the 80+ % throttle range. Once I start pushing towards full throttle I drop to about 70% efficiency at lower alts., but the efficiency improves slightly at max throttle (wep) at higher alts., etc. I suppose it's a tradeoff of sorts but seems to work well enough in SF2. Added info. and some edits. Pleased to report that, after a couple of weeks of further tinkering, I've managed to put a cap on the SL speeds for the post-WW2 types being tested while managing to exceed those SL speeds noticeably at higher alts. Further discovery - best is to cap the MachLimit speed at about 30 to 60 or so kph higher than historical max speeds at alt. - similar to the "120%" rule I've been using for mach limits in FE2. This gives more accurate results at alts. in SF2 than the more liberal mach cap of 100 kph higher than historical (which leaves too much room for inaccuracies in speeds). Also been tinkering with the climb rates on some of the types, as indicated in the pic below I found on one of the WW2 forums. More thorough info. regarding the tweaks will be included in the Read Me file for the package itself - now to double-check the files and upload everything under the SF2 downloads section in the near future. All in all an interesting experiment and I'm happy with the results - hope others enjoy flying the tweaked types too. If I ever decide to do a WW2 install in SF2, I might use some of the discoveries from these post-WW2 prop. tweaks and then "roll them back" into the WW2 types - but this is a project for a later date. Once I upload this package I want to return to modding some of the types not yet touched in FE2...the Snipe comes to mind, as do some of the two-seaters. I like your stuff ! Many many thanks !! !